With the news today that Nebraska could be without senior cornerback Chris Jones for four to six months following surgery to repair his left meniscus, it’s worth taking a look at where the Huskers turn in the secondary. On our post-spring depth chart, which was based on some conversations with coaches and players over the course of the spring, Jones was of course the starter at field-side cornerback. 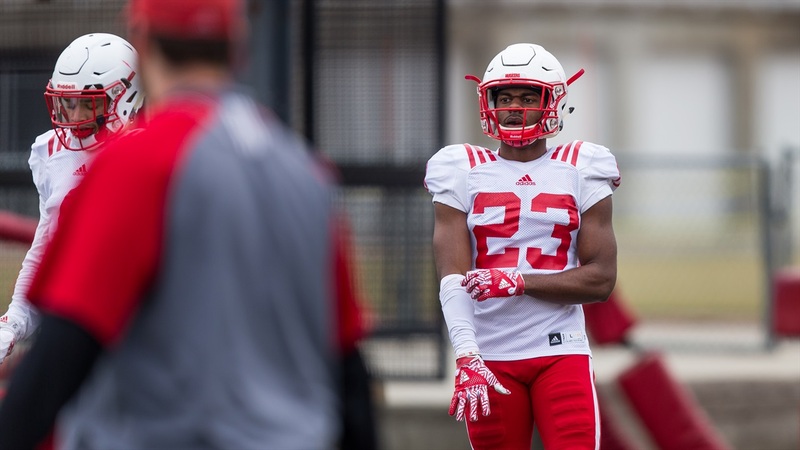 We had Dicaprio Bootle, a redshirt freshman, listed as his top backup, but if the Huskers are looking for a little more experience somebody likely has to move. Fellow senior Joshua Kalu, who started camp as the top boundary-side cornerback, moved to safety and the coaching staff seemed to like him there. That meant the Huskers were going to be relatively young on that side anyway with sophomore Lamar Jackson (13 games, one start, 17 tackles in 2016) at the top followed by redshirt sophomore Eric Lee Jr. (eight games, two tackles). Nebraska could move Kalu back to corner, which would likely leave Kieron Williams or Antonio Reed to take the top spot at safety alongside Aaron Williams. That’s the move that gets the most experience on the field overall. But if the Huskers’ staff likes Kalu enough at safety to leave him there, the cornerbacks get really young really quickly. Sophomore Avery Anderson has the flexibility to play either safety or corner. Senior cornerback Boaz Joseph now has an opportunity to make a move, but he’s been primarily a special teams contributor over the previous three seasons. Redshirt freshmen Tony Butler and Marquel Dismuke practiced this spring at safety but might have to be somewhat flexible as well when it comes to where they fit going forward. And further complicating things is the fact that Nebraska only signed one defensive back in the 2017 recruiting class, cornerback Elijah Blades, but there’s some question as to whether he’ll be able to enroll for the upcoming season. Nebraska has now suffered two significant injuries in the secondary. Safety JoJo Domann was having a great spring, but tore his ACL in April and will likely redshirt in 2017. Add in Jones' injury and what was once the somewhat known entity in the Huskers’ transition to a 3-4 defense has become something of an unknown.